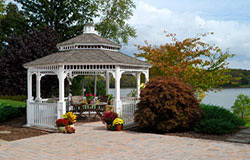 The crew was very pleasant, worked hard and finished the job quickly. We think the shed looks great. Brittany was also very helpful during the process. I attached a picture of how it looks in our yard. I’m using it as a cat rescue for a mama cat and her 5 kittens, and I think it’s safe to say by the attached pic, they’re loving their new home! Thanks so much – Have a great weekend! 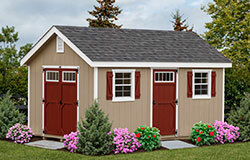 I have been looking for sheds for 2 months. 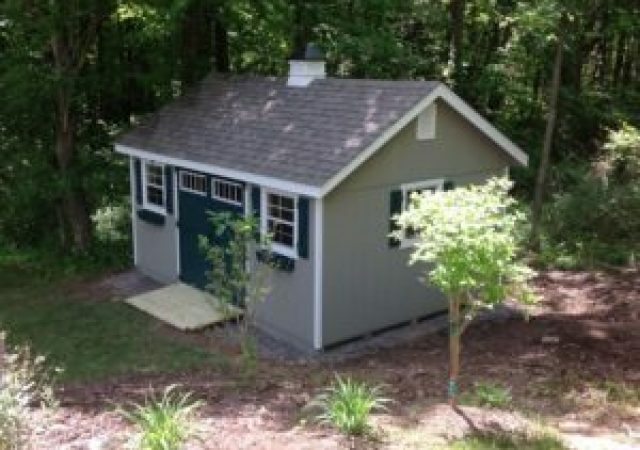 The shed had to have a specific square footage and I wanted it to match the color of my house. After going to Lowes, home depot, costco… and all others I could not find anything that I liked. 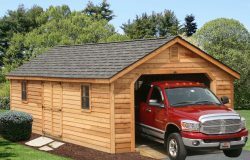 That s when I decided to have a custom built shed by my local handy man. we priced out the wood and the labor, it came out to $ 6,000.00. 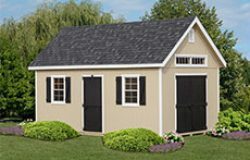 More internet research lead me to myshed.com and after a simple phone call with Brittany that lasted 5 minutes and I sent her the pics via e mail of the house, it seemed that it was all done. My other request was to have it installed on May 19 (3 weeks work time). Well on Monday May 19th, in a remote place in Long Island, showed up these 3 kids (barely old enough to drive) on time and within 3 hours my shed was up, painted and pimped the way I wanted. They were polite, cleaned up their mess and Voila all done. I am really happy with the service I got. The best part is how polite they were! 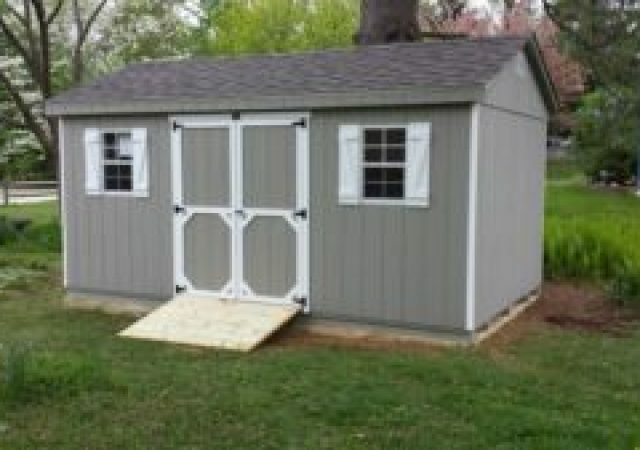 I am very very happy with my new shed. That is not saying enough. The workmanship is above par. I’m having a good time setting it up. I have people stopping and looking at it and are very impress with it’s looks. Just so you know, I tell them where to buy one. Stoltzfus Structures. As for your driver, JR was just great. He put the shed on the pad perfectly. Once again I would like to thank you for everything. 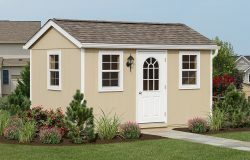 We could not be more pleased with the purchase of our shed. I mean from all aspects: the service; the quality; the delivery coordination….everything!! 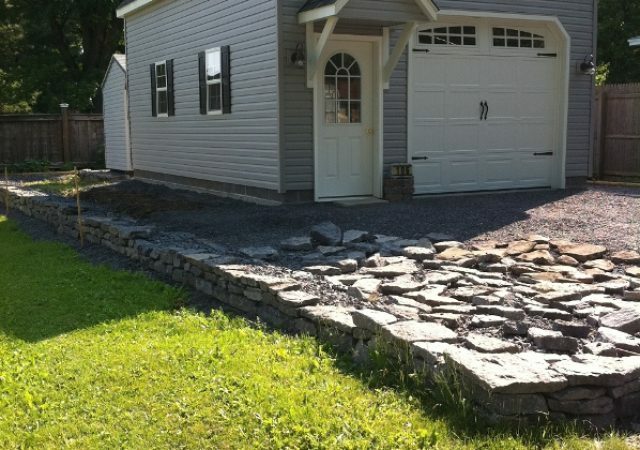 Even Precise Foundations, who we chose to install the foundation, did great. Everyone was very friendly and professional. Great job, guys! It is beautiful!!! The guys were great. Thank you so much for another great product! 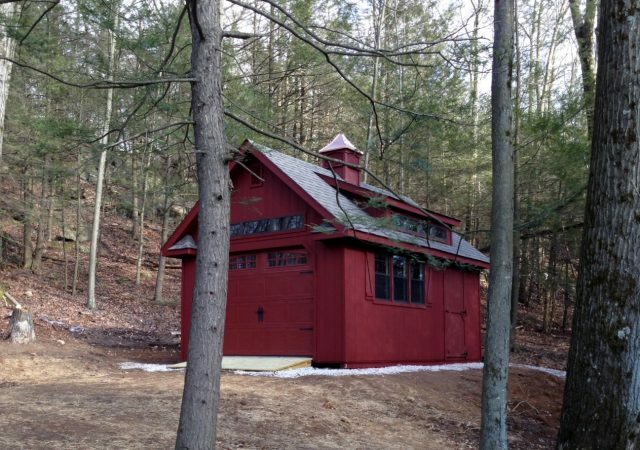 The barn looks beautiful and like it has always been in the spot. Attached is a picture. My experience with you and the Stoltzfus team has been a good experience. Starting with Heidi, Brittany, yourself and ending with Samuel, David, Ephraim, and Steve. 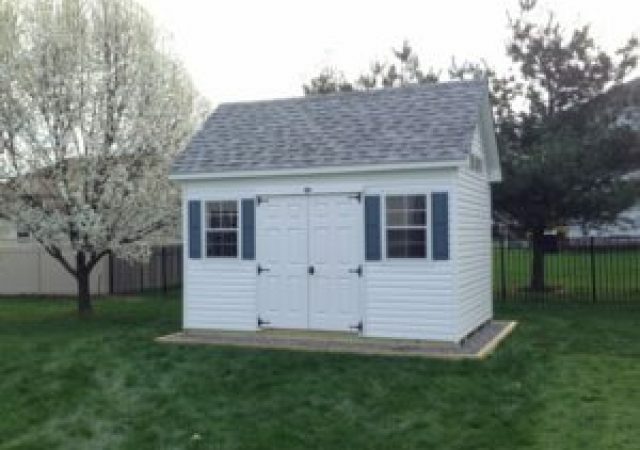 As the first step in completing a much larger project this summer, I needed to put a storage shed on my property to make ready space for an addition on to my house. 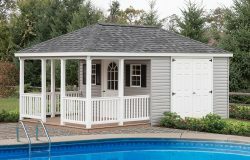 As I had done in the past; I was planning to build a very high end (small house) shed with a lot of special detail so it would complement my property. 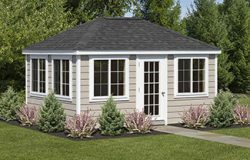 As I was getting the drawings and materials costing together, I quickly discovered that lumber and other needed items such as doors and windows were very high in price. 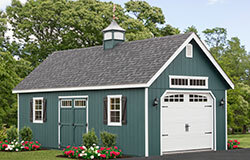 It was suggested that I look online for a ready built or kit shed and as I did this, I quickly discovered that most purchased sheds were ready-made “junk” and would not work out for me. 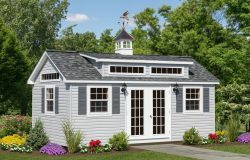 Towards the end of my online search I stumbled onto a shed called the Garden Elite and it was the exact style and design of shed, which I was planning to build. In focusing on this photo, I traced it to the Stoltzfus Structures website. Once at the website and doing some research, I was convinced that I should call them to further learn more about their buildings. 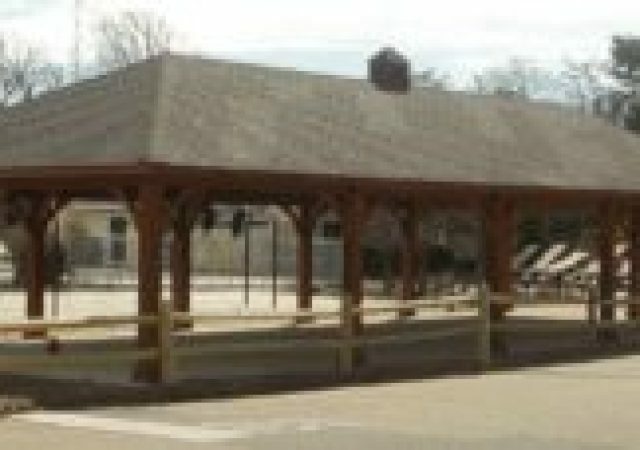 In contacting Stoltzfus Structures and talking with Mr. Mark Zook, I learned that they could build, deliver and set up the shed for less than the cost of materials to build it myself. 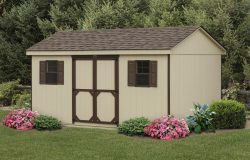 I put a deposit on a Garden Elite shed within the hour and was looking forward to its arrival and hoping that it would be everything I expected it to be. 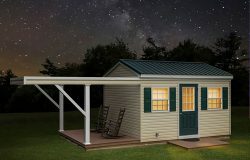 The shed was delivered and set up on my property within two weeks. It could have been here sooner but I was not yet ready for it. The design and build quality was everything that Mark and the data sheet said it would be even better. 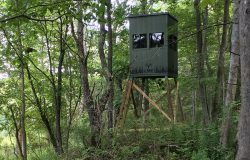 I could not have built this shed any better myself. The structure was put together like a piece of fine furniture. But this is not what this review is about!!! I do most things myself and tend to stay away from any type of paid service because my wife and I never end up happy with the end result. As I was going through the purchasing process, having Mark fill out zoning forms change my order in mid-stream and other things which require working with people. 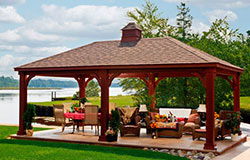 I quickly discovered something that I did not think existed, which was a reliable company who was truly there to help. I would send Mark forms and they were sent back to me completed in less than ten minutes or less. The shed was delivered on time and put together by Mark and his crew the very next morning. 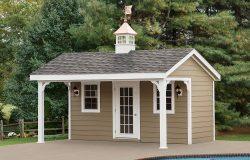 In short ,my encounter with Mr. Mark Zook and Stoltzfus Structures was the best large purchasing experience I ever had and now I understand why people on YouTube are so excited about their Stoltzfus sheds. Thank you for your outstanding service and a great building! Our Knights of Columbus purchased a 14 X 24′ with an upstairs to hold all our festival supplies for St. Joseph Church in Downingtown, PA. There were sample sheds to see and walk in to get a visual of size on the first floor and second. 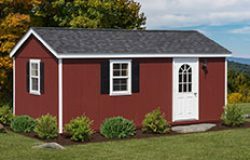 The buying process was like buying a new house, you have so many options to choose to make your shed special or meet your requirements. 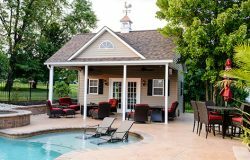 A few examples are choice of many color options from Roof to shutters, Location of doors and windows, and What type of siding and color. We were very pleased with the experience. Also, delivery was on time for the scheduled day selected. The staff is very easy to work with. 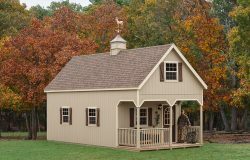 I would recommend Stoltzfus to anyone that is interested in purchasing a shed. We had been looking at building designs on line and happened upon STOLTZFUS STRUCTURES and loved some of their designs and the fact that it was possible to use their website to design and cost out the building. 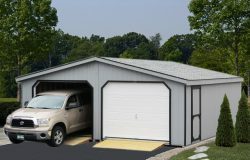 We were particularly impressed with one of their two-story garage designs which would give us additional space on the small lot. 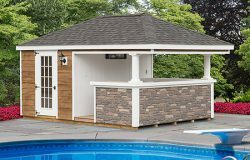 Working with Jonathan of Stoltzfus was a pleasure-he answered every question, made good suggestions and provided all the information we needed for permits. Stoltzfus met every promise they made. 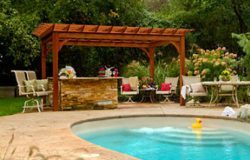 Their crew was excellent, they were on time, brought all the materials they needed, and constructed the garage in two days. Local people were amazed at the work ethic of the crew, their ability to do quality construction quickly, and their consideration for the neighborhood. 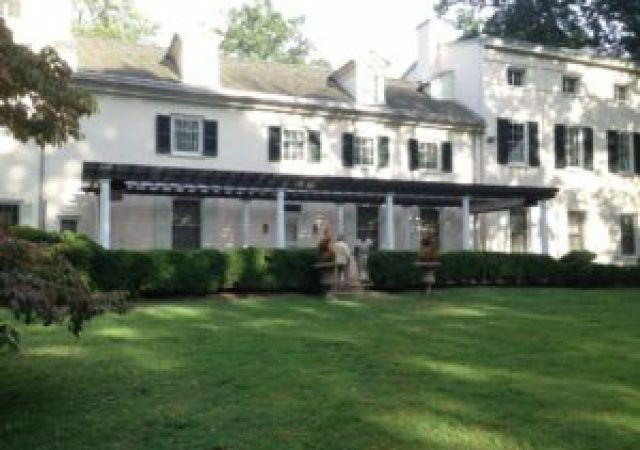 The building is now 3-4 years old, has well weathered our severe winters, and has received many favorable comments and visits. We cannot be happier with the building, and with our good fortune to find Stoltzfus Structures on line and the outcomes we have experienced in working with them. 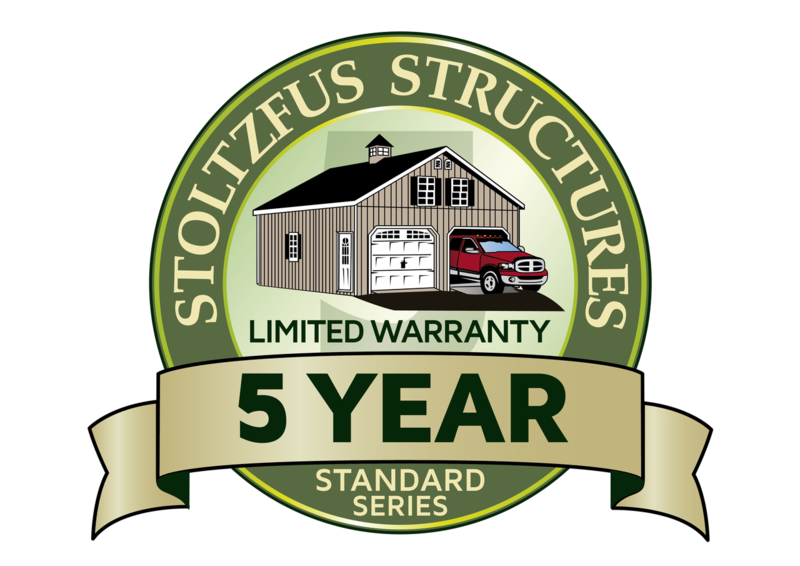 We recommend Stoltzfus Structures without reservation. Everything went great with our shed delivery and set up (except for the rain). EJ was efficient and courteous and worked through the rain until everything was complete. It appears to be level and it looks absolutely beautiful inside and out. You can see the high-quality materials which were used in its construction. I’m just sorry it took us so long to do this project; I wish we had done it years ago. 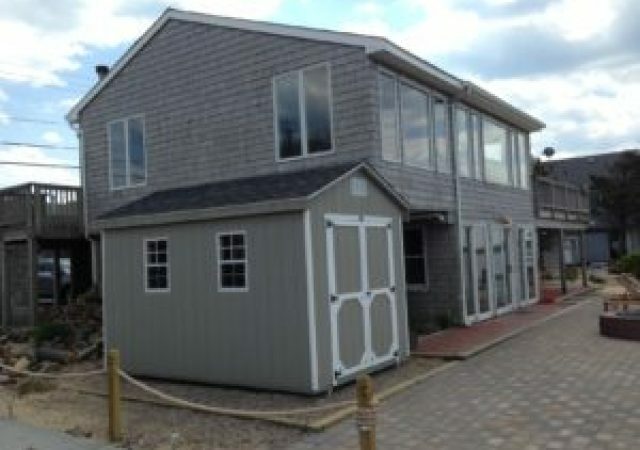 Our pavilion was completed on Tuesday, March 11, in less time than we estimated. Your guys did a great job. Everything they did was professional and they worked very hard. They were great guys. Thank You very much also in working with me throughout the entire time. I greatly appreciate your help. You were alway available when I need advice. Currently, we are working on the power and lighting for the pavilion. We expect to have all completed by the time we open on April 1st.